What happens when you combine the utility of a truck, versatility of an SUV and amenities you’d find in a luxury vehicle? You get the ever-capable 2017 Suburban. With a best-in-class highway fuel consumption rating of 10.4L/100 km,4 this bold SUV gets you where you want to go and is built to accommodate your family’s needs. It’s no wonder Suburban is the longest-running nameplate in automotive history. All the comforts of home while you’re away — the 2017 Suburban was designed to feel just like that. The interior offers sophistication and comfort, while outside, the sculpted and athletic bodylines give this large SUV a commanding presence. Suburban was designed to give you and your family a comfortable and quiet drive. With refined appointments like an acoustic-laminated windshield, triple-sealed doors, and an insulated exterior and interior, you can enjoy the ride without the distraction of noise from the road. Not only is the Chevrolet Suburban spacious enough to accommodate the whole family, there’s plenty of room for your stuff with a generous 1,113 L (39.3 cu. ft.)3 of space behind the third row. Plus, the centre console is large enough to fit a laptop computer, and door storage has room for water bottles, umbrellas and other small items. It’s easy to configure your cargo space in a way that works just for you. Available power-release second-row and power-fold-flat third-row seats give Suburban a versatile interior that offers 3,447L (121.7 cu. ft.)3 of maximum cargo space. And to help you outside when your hands are full, an available sensor under the rear bumper lets you open the liftgate with the simple motion of your foot. You have a style that’s all your own. So why not show it off when it comes to your vehicle? The available Suburban Signature Edition offers aesthetically pleasing features like chrome accents and large wheels that’ll make an impression everywhere you go. The Chevrolet Suburban offers support for Apple CarPlayTM5 and Android AutoTM5 through the Chevrolet MyLink®6 display. Built-in OnStar® 4G LTE with available Wi-Fi®1 helps keep your family connected and entertained when you’re on the road, while the available 203 mm (8-in.) reconfigurable cluster with Driver Information Centre and Head-Up Display provides easy access to all the information you need for the drive. Suburban offers support for Apple CarPlayTM5 a smarter way to use your iPhone to listen to Apple Music, get directions with Apple Maps, call friends and more. If Android is more your style, available Android AutoTM5 compatibility lets you connect your compatible smartphone to access your calendar, playlists and select apps such as Google Maps. The available Rear-Seat Entertainment System with Blu-rayTM playback keeps backseat passengers engaged for even the longest rides. 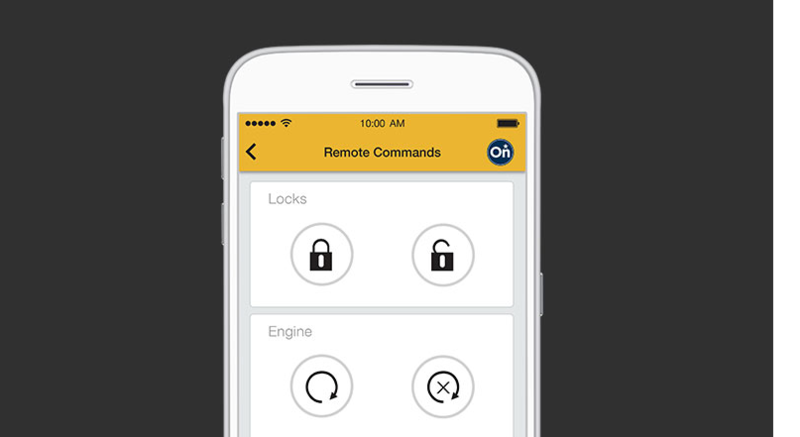 With myChevrolet Mobile App7 you can turn your compatible mobile device into a command centre for your vehicle. Start/stop8 your engine and lock/unlock your doors with the tap of a finger. You can even send destinations to your available navigation9 system, view diagnostic information and set parking reminders from virtually anywhere. It’s a simpler and smarter way to stay connected. The 2017 Chevrolet Suburban features a powerful 5.3L EcoTec3 V8 that delivers a unique combination of performance and fuel economy — giving you efficiency without compromising power and towing capability. And the lightweight suspension helps optimize fuel economy, offering best-in-class highway fuel consumption rating of 10.4 L/100 km4 while still being stiff enough to maintain the excellent ride Suburban is known for. The 2017 Chevrolet Suburban offers available advanced safety features to help you prevent a potential collision and technology to respond in the event of one. Meanwhile, an available Theft Protection Package can help keep your belongings secure inside your vehicle.